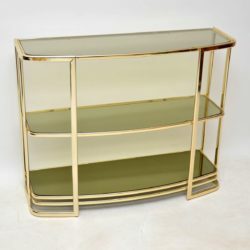 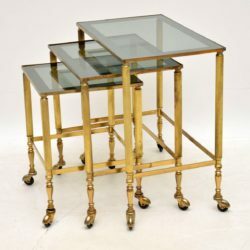 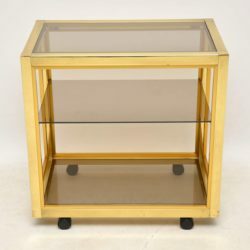 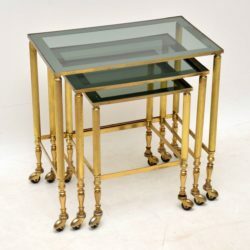 A stunning and very well made vintage brass nest of tables, these were made in France and date from the 1960’s. 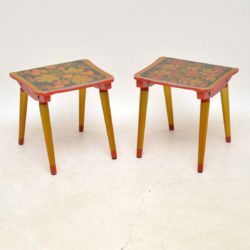 They’re much better quality than the ones we usually find, they are in great vintage condition as well. 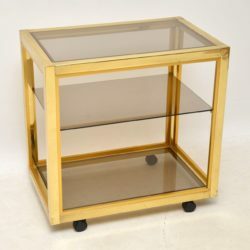 All is clean, sturdy and sound, there is just some minor surface wear to the glass. 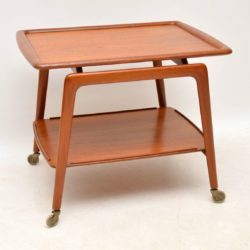 A beautiful and top quality Danish nest of three tables in rosewood, these date from the 1960-70’s, they were made by Vejle Stole Mobelfabrik. 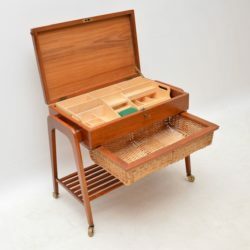 The condition is excellent for their age, they are all clean and sturdy, with a gorgeous colour and stunning grain patterns throughout. 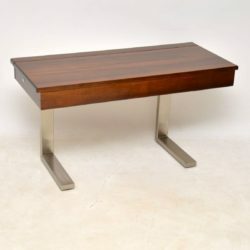 there is only some extremely minor wear here and there. 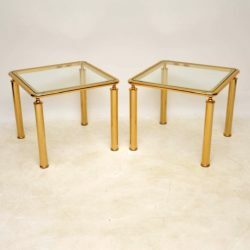 We also have the matching large coffee table and small side table available separately, seen listed under our other items for sale. 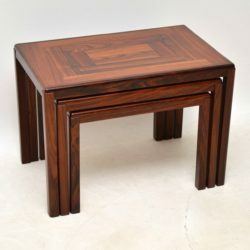 A beautifully made and very stylish rosewood side table, this dates from the 1960’s. 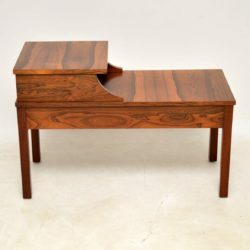 It is very well made, the rosewood grain patterns are absolutely stunning throughout, and the condition is excellent for its age. 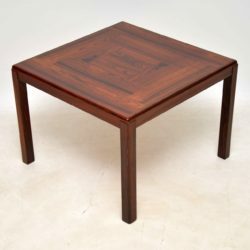 There is just some extremely minor wear and fade hear and there. 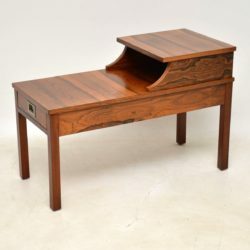 This is finished on all sides, and can be used as a free standing side table, or as an entry bench / telephone table. 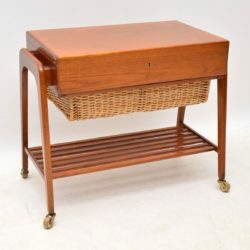 A beautiful and extremely well made Danish rosewood coffee table, this was made by Vejle-Stole, it dates from around the 1960-70’s. 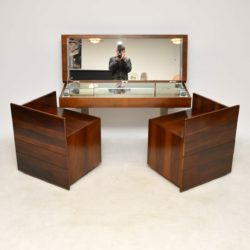 The condition is amazing for its age, the rosewood has a lovely colour and stunning grain patterns, there is only some extremely minor wear here and there. 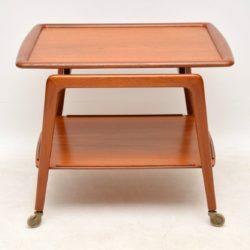 We also have a matching larger coffee table available separately, seen listed under our other items for sale. 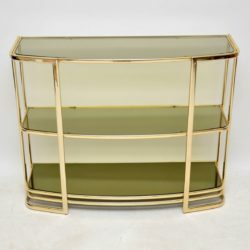 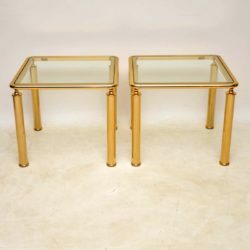 A fantastic pair of vintage brass side tables, these are of amazing quality, they were probably made in France or Italy in the 1970’s. 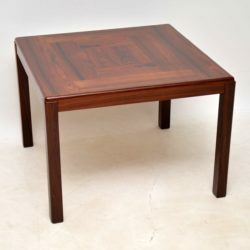 The condition is great for their age, with only some extremely minor surface wear here and there. 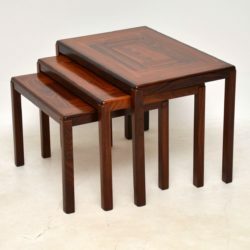 We also have the matching coffee table that came with these, seen listed separately under our other items for sale. 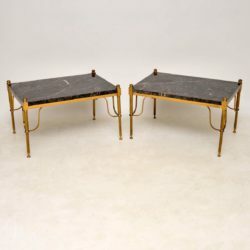 A stunning and extremely well made pair of vintage French side tables, these date from the 1950’s. 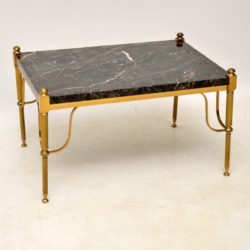 They look stunning from all angles, with an elegant design and beautiful, thick marble tops. 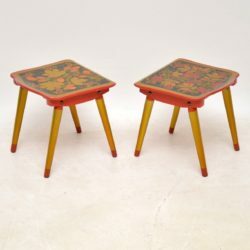 There is some light surface wear here and there, but overall these are in great condition for their age.